What is HAARP up to, if anything? Never, ever saw a round ring in a radar display. 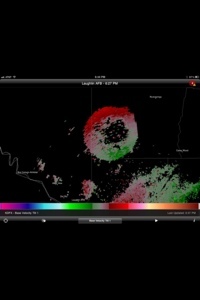 Yet, here we have a radar showing a circle that looks like a Cheerio or a donut. This a a screen grab from Intellicast..
Hi, i think that i noticed you visited my website thus i got here to go back the choose?.I’m attempting to to find issues to improve my website!I suppose its ok to make use of some of your concepts! !